What was once a cool, eclectic, DC Films property that existed just ancillary to the main canon of Man of Steel, Batman V Superman, and Justice League is now a heavily anticipated and unduly burdened blockbuster for David Ayer's Suicide Squad. After the mixed reaction to BvS, the studio and fans may have too much invested in 'Squad' to cure all the ills this year for the DCEU. 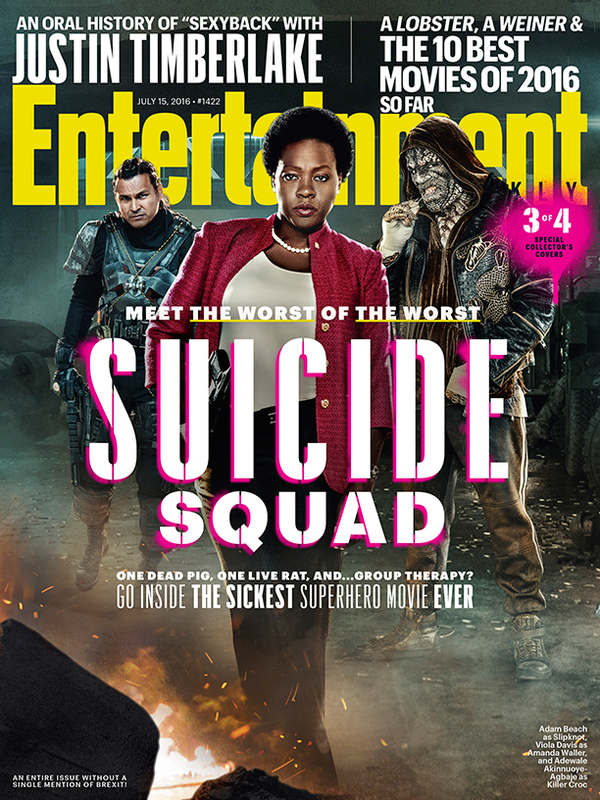 Entertainment Weekly features special covers and a cover story on 'Suicide Squad' this week, available Friday, that goes in-depth with the director and the production overall. More details emerge about the plot and what's at stake for these "worst heroes ever." We already know that this team of expendable imprisoned criminals are given an opportunity to earn their freedom if they survive a mission ordered by government official Amanda Waller played by Viola Davis. Her first target is possessed archaeologist June Moone/Enchantress (Cara Delevingne).Waller’s program doesn’t get a green light, though, until Midway City is threatened by a powerful mystical enemy, and Waller needs to activate the whole squad of prisoners. The baddies get a break. 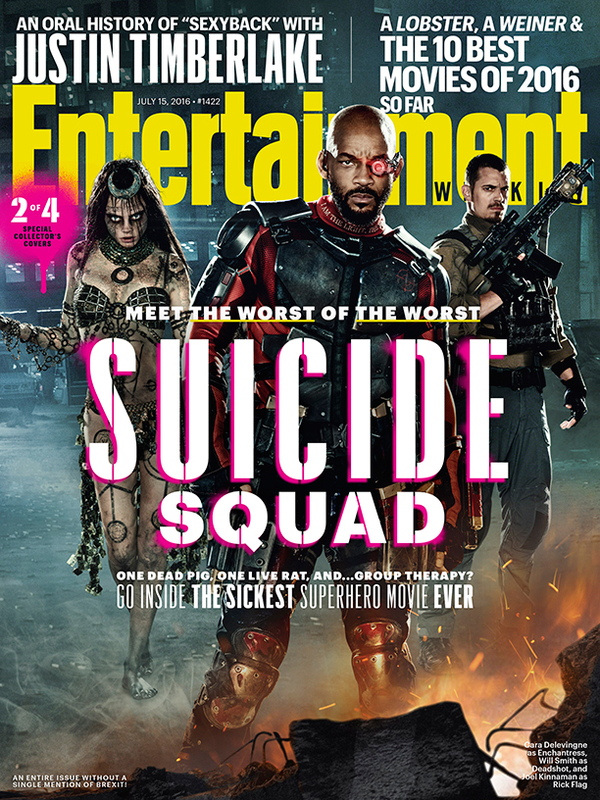 Deadshot (Will Smith) has his Second Amendment rights ­reinstated, Harley (Margot Robbie) is carefully excised from her birdcage, Diablo (Jay ­Hernandez) is released from his own fireproof fortress of solitude, Boomerang (Jai Courtney) and Slipknot (Adam Beach) strap their weapons back on, and Killer Croc ­(Adewale Akinnuoye-­Agbaje) is popped from his swamp. The one condition for their restricted freedom: Obey orders or die, a rule strictly enforced by squad leader Rick Flag (Joel Kinnaman), his samurai Katana (Karen Fukuhara), and the explosive devices inserted into their necks courtesy of Wayne Enterprises. (Thanks, Batman!) 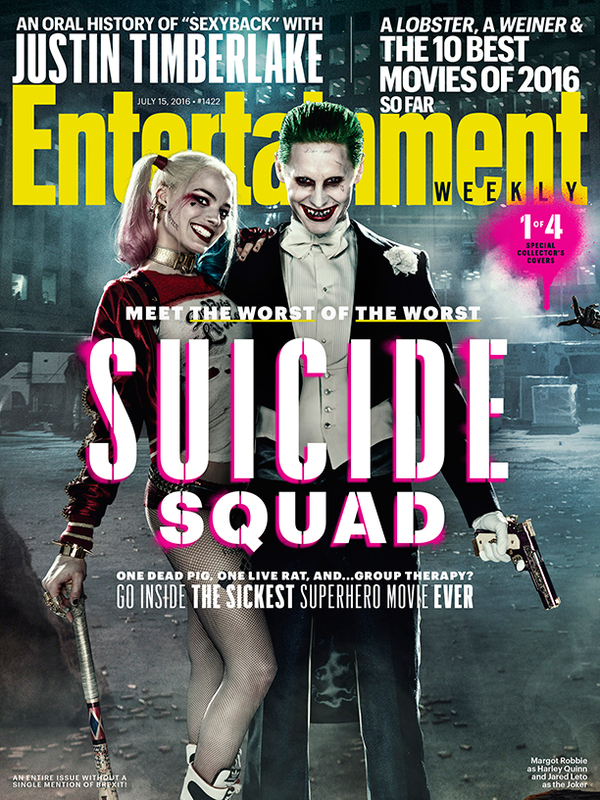 Throwing a wrench into all these plans is the tatted Gotham City arch-criminal, the Joker (Jared Leto), and his laser-like plan to reunite with his true love, Harley, mission be damned. It becomes an exciting action film with damaged people seeking redemption through some uncharacteristic heroism. Hopefully, the reception to these colorful characters and Leto's reportedly stunning portrayal of the Joker is much more positive with critical fans and bloggers. Unfortunately, 'Suicide Squad' carries all of Warner Bros' weight to close out the summer with a bang after a disappointing performance from The Legend of Tarzan and set up some momentum and excitement for more DC Films in 2017 like Wonder Woman and Justice League. 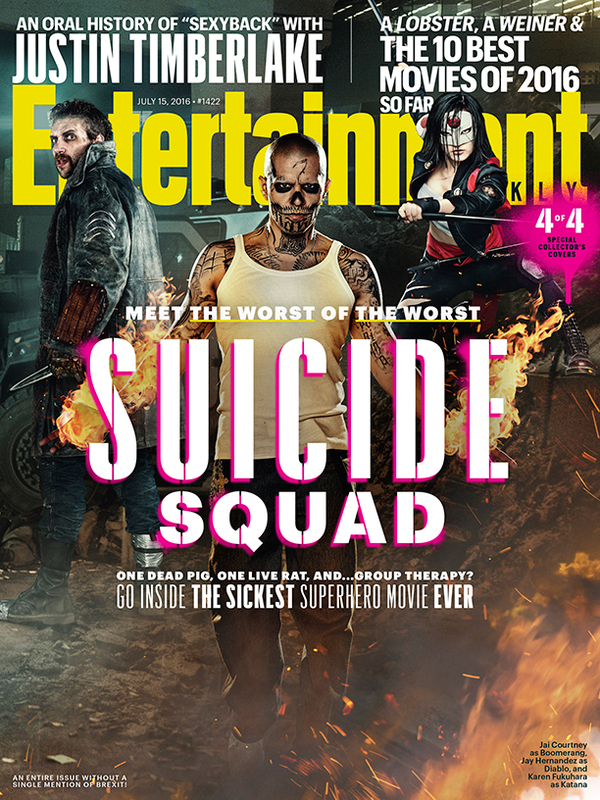 See the four amazing EW covers by Clay Enos and get the issue this Friday.